See the highlights shared by VIVAT’s Martine de Groot Grosman at the latest ITPE Digital Competence Expert Group, where she explained how holding company VIVAT implemented the e-Competence Framework (e-CF), and what benefits were gained in the organisation. We present to you the second interview with a member of the ITPE Digital Competence Expert Group. In this video, Maurice Willemssen, Business Consultant at KPN, explains the application of the e-Competence Framework (e-CF) in practice in his organisation, and outlines the benefits of the framework. This initiative on Professional Ethics will be the second expert workgroup set up in ITPE, and will work in parallel with our other expert group on Digital Competences. All expert group meetings are open to members only, and if you wish to learn more about ITPE membership and its benefits please click here. At the ITPE Digital Competence Expert Group meeting held in Brussels on October 24, we interviewed three participants, including Floor Scheffer (Senior Business Consultant, Tata Steel), Martine de Groot-Grosman (Capacity Manager, VIVAT) as well as Maurice Willemssen (Business Consultant, KPN). The Irish Computer Society’s (ICS) annual conference, the IT Architects Conference 2018, will take place at the Aviva Stadium on 21st September 2018. This year's topic is Digital Architecture, which encapsulates the core concepts of digital disruption and architecture, bringing together technology, processes and people. We recommend this conference to qualified IT architects, CIOs, and heads of IT staff. Attending this conference will give you an opportunity to hear of cutting edge developments and to network with speakers and like-minded delegates. For more information about the programme please check the event website www.iasa.ie/conference or contact ICS at conferences@ics.ie for registration and sponsorship packages. ICS has a broad membership base with members from a range of sectors within the profession. It runs a series of national annual conferences for IT societies within ICS. The conferences cover themes such as IT Leadership, IT Architecture, IT Service Management, Data Protection, Health Informatics, Public Sector and so on. Check out www.ics.ie website for future events. The Digital Capability Reference Framework (DIGIFRAME) will be presented at a conference to be held on 15 November in Brussels, which aims to help increase Europe's digital talent pool and the digital capabilities of enterprises. The event will highlight major themes addressing shortages of IT professionals and the digital maturity levels of enterprises and SMEs, with leading speakers and panellists participating. Currently, 200 experts from industry, education, government and associations from across Europe are set to attend. The initiative is run by Capgemini Consulting, IDC and Empirica, who have been awarded a service contract by the European Commission (Directorate-General for Internal Market, Industry, Entrepreneurship and SMEs) to support its work in synergy with other relevant activities including those of the Digital Skills and Jobs Coalition and the European Committee for Standardisation (CEN) on IT professionalism in Europe. In Spring of this year, the ITPE secretariat sent out a consultation asking its members about their perspectives on IT professionalism, what the challenges are and how they believe it should be supported and developed. The responses highlighted that increased professionalism will help bridge skills gaps, build curricula, help IT professionals become more involved in strategic processes, define job profiles and contribute to flexible and effective business solutions. The mentioned obstacles preventing organisations from achieving IT professionalism goals included the lack of a ‘common language’ and awareness of available solutions, as well as the comprehensive internal changes that organisations need to make for adapting to new staff cultures and procedures. To address these challenges, promoting and implementing standards and frameworks (in particular the e-CF), as well as raising awareness about IT professionalism, ensuring organisational transformation and also active engagement from IT professionals themselves in seeking training and available resources to improve, are key initiatives. For more details on the consultation, please go to the survey’s page. On October 25, 2018, the Belgian association of technology companies, Agoria, will hold its annual event with a session dedicated to the digital transformation of industry and IT professionalism. CEPIS Secretary General, Austeja Trinkunaite, will discuss IT professionalism and introduce ITPE to Belgian stakeholders. Jutta Breyer, of the CEN European Committee for Standardisation, will present current developments and practical applicability of the e-CF. They will be joined by Jeroen Franssen from Agoria, who will provide the Belgian perspective on the challenges related to market digitalisation. His presentation will be based on a nation-wide survey that highlights current and future skills needed in the Belgian labour market. A total of 16 parallel sessions are planned for the event, which together aim to give a broad overview of the latest regulatory and standardisation developments at regional, national and European level. Entry for the session ‘Labour Market and Digitisation’ will be free for CEPIS and ITPE members - if you wish to attend, please contact the CEPIS secretariat for more information. Learn more about the session here. This event is scheduled in line with the ITPE Digital Competence Expert group’s meeting, which will take place in Brussels on 24 October. The upcoming ITPE ‘Digital Competence Expert Group Meeting’ is set to be held on October 24 in Brussels. The session will focus on the benefits and challenges related to applying the European e-Competence Framework in practice, as well as the opportunities of the Erasmus+ programme for developing projects related to IT professionalism. As a follow-up to the last ITPE meeting in June, an update about the ongoing TC428 projects will also be presented. Mary Cleary of the Irish Computer Society will chair the event, which will begin with a welcome address by André Richier from the European Commission. Other speakers will include Harald De Vries, Programme Manager at Explain, Floor Scheffer, Senior Business Consultant at Tata Steel and Yazid Isli, Socio Director at Hominem. The European Centre for Development and Vocational Training, Cedefop, has published a Handbook of ICT practices for guidance and career development, which shows the potential of ICT to help people find the right training and jobs, as well as increasing their employability and develop their competences. The handbook helps the user to determine the best option for a specific context, providing a common reference tool for citizens of the EU. 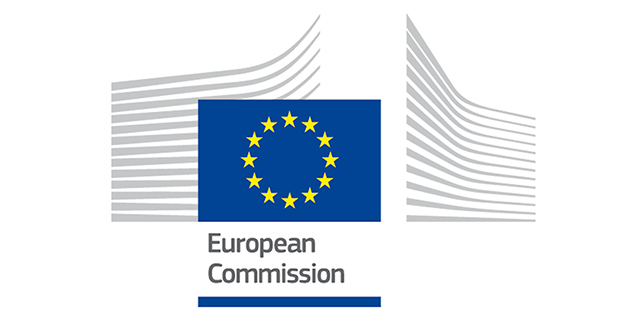 It also offers recommendations to support implementing ICT in the areas of education, training, employment services and other relevant organisations in European countries, while the authors hope that it will encourage continuous cooperation between pioneers in technology and the relevant stakeholders of these different sectors. The Handbook can be found on Cedefop’s website. Interim findings from the European pilot project for improving the digital skills of small and medium sized enterprises (SMEs), named ‘New Professions, New Educational Methods, New Jobs’, show that while some needs vary, there are universal tools for business intelligence, marketing, e-commerce and client relationship management that are common and useful to all SMEs. The findings, which are based on 40 interviews conducted with involved stakeholders, also indicate that skills for digital marketing, social media, cybersecurity, web development and data analytics are what the SMEs most wanted to improve on. The pilot project was set up by the European Commission to design training solutions in digital skills to upskill SMEs. It has the objective to develop ‘blueprints’ to upskill small businesses all over Europe. The project is now ready to pilot training courses for SME employees and unemployed people in Murcia, Spain and in Lithuania. More information can be found on the European Commission’s website. The World Economic Forum has released a new report on the future job market. In the report, they outline the context that will define the job market of the future, and they highlight the need to transition the current labour force skills to meet the demands of tomorrow. The report explores the current labour market and argues that there will be a shift in the types of skills that will be demanded in the future. To illustrate this point, the report uses numerous examples, such as the structural employment decline of 1.4 million redundant jobs against structural employment growth of 12.4 million new jobs in the US by 2026. The report builds on this and argues that companies will need to adopt reskilling and upskilling strategies to secure talent in the future. Finally, the report calls for policy-makers to recognise the importance of reskilling and retraining strategies, as they are necessary to fuel economic growth, they enhance social resilience in the face of technological change, and they pave the way for future. The full report can be downloaded from the website of the World Economic Forum. As the implementation of the EU’s new General Data Protection Regulation (GDPR) fast approaches, the European Commission has called on data protection authorities and national governments to be ready for the major changes in law, and to provide support to organisations as they adapt. The potential for blockchain technologies in education has been examined in a new report from the European Commission’s Joint Research Centre (JRC). 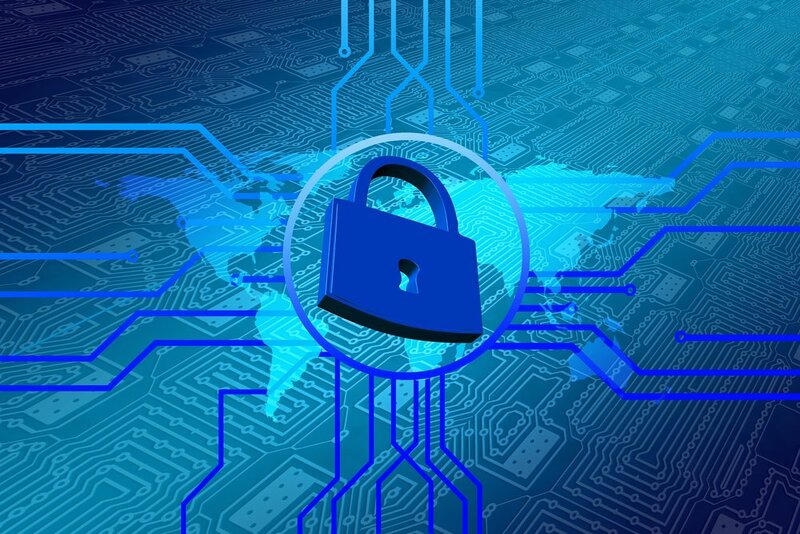 It has long been acknowledged that cybersecurity is one of the most important issues of our times, and numerous initiatives are being implemented to enhance the capacity to counter threats, react to incidents, and share expertise. 2018 has arrived, and with it, the Bulgarian Presidency of the Council of the European Union. Lloyds Bank has released the fourth annual edition of its UK Business Digital Index for 2017, revealing that over half of charities, and 41% of business in Britain lack essential digital skills. A new study by CapGemini and LinkedIn has found that half of the companies surveyed are not taking the digital skills gap in the workforce seriously. A new report that aims to introduce data protection experts to the concept of GDPR certification has been published by ENISA, the EU’s Agency for Network and Information Security.